Just the job for keeping your crop of onions in tip-top condition for several months, our nets allow good air circulation. 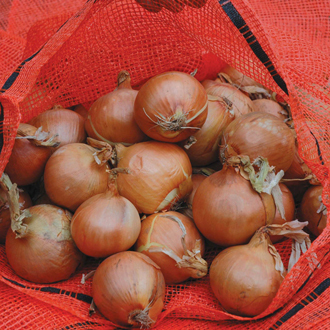 Once the skins of the bulbs have 'set', hang them in onion nets in a dry, airy, frost-free place. Never store onions in plastic bags as this will cause them to rot. Size: 52 x 85cm/20.5 x 33.5in.